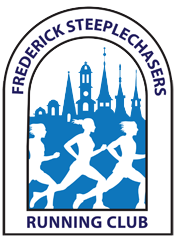 2019 FSRC members and their guest(s) are cordially invited to attend this year’s Annual Running Celebration and Banquet at the Delaplaine Fine Arts Center in downtown Frederick. This is an opportunity for you to meet up with members of the FSRC running community, enjoy dinner and drinks, and participate in our annual awards program. We will again be doing BYOB. If you desire, please bring your own beer, wine or other alcoholic beverage to enjoy. Water and iced tea will be provided. Space is limited to 120 attendees, so you may not want to procrastinate. Reserve your seat(s) using the runsignup link below.